Rich list builder, poor list builder – which one are you? Do you want to get your list building off to a very quick start and are willing to cough up some money to speed up the process? Or you don’t mind taking your time building your list slowly, but truly, and with as little upfront expense as possible? Or are there ways to do it both quickly and “poor man” style? There are a few prerequisites to successful list building. The more the merrier, naturally, but your traffic HAS TO be targeted enough to want what you have to offer. That would be the freebie you are planning to offer. And the stakes are high these days; you’d better make it good. NOT complicated or lengthy, but value-packed good. If you don’t have anything in the works just yet, it’s no excuse to avoid building a list. If you cross your heart and promise to keep it intact, feel free to use my “Mommy, Where Does My Traffic Come From?” traffic report as a free bait on your blog. Eye-catchy, but simple, to the point, and here’s the tricky part: everywhere, but NOT intrusive. Building a list sounds like a must and all, but trust me, there’s a reason for this list building madness: to make money. How are you planning on making money off your list? Your own product, services, affiliate products, etc.? Even if you have no idea at the moment, my advice is to start your list anyway. By the time you figure it all out, you’ll be glad you didn’t wait until you had all your ducks in a row. Partially, it’s because I don’t believe they truly work. Plus, if I am going to spend money on my list building, I want to make sure I KNOW what I am doing. And that, my friend, takes time and even more money, neither one of which I am willing to give up – personally. So, let me tell you what I DO know about these methods. Another fair warning: I’ll do all I can to dissuade you from using these list building methods! This is something I’ll strongly suggest you stay away from. At best, you’ll end up buying a bunch of names and (hopefully) working email addresses – hard to get them to STAY with you and even harder, to BUY from you. Can’t sell a steak to a vegetarian! Ever heard of banner blindness? Still there. Since I’ve never used this method to drive traffic to Traffic Generation Café, I have no idea what your ROI might be on something like this. However, I did use banner advertising as an income stream and ended up dropping it since most advertisers weren’t getting their money’s worth in traffic. In online marketing terms, ezine is a newsletter sent out to thousands of subscribers. However, the only ad really worth considering is what’s called a “solo ad”, which means that it would go out all on its own without any other content surrounding it. I’ll let your pockets decide if this list building method is something you’d consider. Not my cup of tea either. According to this post at Wordstream, the average small business using AdWords spends between $9,000 and $10,000 per month. Once again, I’ll let your pockets decide if this is something you’d like to get into. Now THIS IS something worth giving a shot. I wouldn’t say it’s easy, but it’s fairly easy to master, it’s still fairly inexpensive (in the eyes of the beholder, of course), and it brings results. I am sure there are MANY more ways to build a list when you have money, but as I said, it’s neither my area of expertise nor of interest. So let’s get down to the meaty part of this post: how to build a list poor man’s style. With minimal cash investment, in other words. Approach other bloggers in your niche with similar size blogs and, hopefully, lists and agree to send an email to your list about their newsletter, if they do the same for you. Find someone who sells a product, which compliments your freebie, and approach them about giving your freebie away with their product. Everybody loves a good bonus, which of course will have links back to your blog. Keep your opt-in form visible and above the fold, if possible. Some time back, I saw a post on SocialMouths.com, giving away a blog/social media audit to a random subscriber to their list. Francisco gently persuaded his visitors (me including) to subscribe to his list in return for a chance to win. Say you write a freebie with several chapters, like my “Mommy, Where Does My Traffic Come From?” traffic report. Offer the first few steps/chapters for free, and leave the last one for subscribers only. Since they’ve read most of your freebie and are dying to get their hands on the last part, they are now very willing and ready to join your list. List Building Tip #11. Create PDFs. I am sure you’ve heard of this before, but probably never used it. The idea behind this method is simple: create ebooks out of your existing content. For instance, take all the posts you have on kolibri bird feeding habits and turn it into a PDF full of the links to your blog and various posts on your blog – write it in such a way that the readers HAVE TO come back to your blog for more information. Send your PDF out to various PDF networks; SlideShare.net is my favorite one for that. Of course, just uploading your PDF and waiting for it to be downloaded is not my style; and neither it should be yours. Let people know it’s there. If you don’t know how, read Kristi Hines’ Ultimate Guide to Blog Promotion – it’ll have all you need to promote any kind of content you have. List Building Tip #12. Guest post. Here’s another one you’ve heard of before… over… and over…: guest posting. Are you doing it though?… That’s my point. When you publish a great guest post, the readers of that blog are already sold on you – all you need to do is to close the deal. That’s where “priming” technique works wonders. Basically, a JV giveaway is an event set up by several bloggers with an intention to build each other’s lists through leveraging their own lists and social networks. The way it works is each participating member submits one or more freebies that lead to their squeeze pages. Then they agree to send emails to their lists and promote the event via their social networks to bring in as big of a crowd as possible. With a good product, it’s possible to generate hundreds of new subscribers per giveaway. The last one I participated in, I got over 200 new ones within 2 days. The argument, of course, could be that the retention rate for these subscribers can be low, since all they want is your freebie. However, that can be said for all your new subscribers and it’s up to YOU whether they stay or go; you and your brilliant follow-up emails you send them. There are plenty more, of course. List Building Tip #14. Leverage other blogs. With this list building strategy, you round up a few bloggers and each of you will write a post promoting each other’s newsletter and/or freebies. There are a couple of ways you can use your Thank You page to generate email subscribers. 1. First of all, make sure your Thank You pages, even if it’s a “Thank You for Commenting” page, have optin forms. For example, take a look at my Thank You for Commenting page. 2. Get a group of bloggers together and recommend subscribing to their lists in your Thank You page and they will do the same for you. 3. Read the following post to learn another great way to get subscribers and/or sales from your Thank You page. A bit time-consuming, but a great way to brand yourself and add quite a few new subscribers to your list. Create a squeeze page with freebie/newsletter opt-in and ask your readers/subscribers to share it with their team, online friends, etc. I’ve also been successfully using Social Warfare to increase social shares for my optin pages. At the end of some of your emails to your list, why not ask your subscribers to forward the email to a colleague/another online marketer they know? Doesn’t cost you anything and, if they really enjoy your awesome tips in their inboxes, they might just do that. This tip won’t get you direct subscribers per se, but it will get you traffic that will be up to you to convert. Another way of generating new subscribers using a similar method is to let your existing subscribers republish some of your newsletters as blog posts at their blog. Just make sure to direct all the traffic back to your optin page, just like Nick did by linking back to it. People will want to promote you if there is something in it for them. Affiliates send visitors to get your free subscriber bonus. When any sign-ups happen, the affiliate gets rewarded for delivering the lead – maybe, through a free copy of a product or a special report no one else gets access to. I am not talking about a membership site here, although you can create one of those as well. What you can do is choose to set a password for some of your popular posts or, even better, for a part of a post. Of course, you’ll need to let your readers know that in order to access this (and other) password protected content, they’ll need to subscribe to your list, and also let them know you’ll send them the password as soon as they subscribe. You can also set up a special page that will display the password as soon as they subscribe. There are several plugins that will get the job done; just search for “password protect” in your plugin directory and you’ll find quite a few. The one I’ve tested at Traffic Generation Café was S2Member and it worked great. Their free version is exceptionally robust; a paid version is also available if you want to run a true membership site. The de facto autoresponder for most bloggers I know. To learn why I chose Aweber over any other option out there, check our my Aweber review. I bet you’ve seen LeadPages plastered all over the web. And why not, it’s a great way to build a list! However… if you can’t afford to shell out $25/month minimum, but still want the best list building solution, then I strongly suggest checking out ThriveLeads list building plugin. This is what I recommend and use at Traffic Generation Café. Before I let you go, here’s something you might’ve not considered up until now. List building, and email marketing in general, have changed significantly over the years. According to Movable Ink’s US Consumer Device Preference Report 2015, a whooping 68% of all emails in 2015 was opened on mobile devices. Everything you do online, including email marketing, HAS TO be done with the mobile world in mind. Read it. Digest it. USE it. Not much left to say. With these list building tips you have no excuse. If you haven’t started building your list yet, let me tell you – you are missing out big time. My list is number one reason I make the money I make with this blog and have such a strong readership. Aweber is the best email autoresponder I have even used. And I am not the only one. Many A-list bloggers I know also use it for their businesses. Aweber offers a FREE trial month for all new customers. You’ll have access to all features a paid account is entitled to: unlimited lists, email campaigns, automatic follow-ups, broadcasts, and many, many more. If after 30 days you don’t like them, you haven’t lost much. Right? This is a very helpful blog to me. There are many blogs talking about list building, but this one really nail it, in my opinion. I really love the about guest posting, because that’s what I am focusing on atm. Glad to hear it, Shaun. All the best with guest posting! To be honest, this is the first time I am on this site. I have been blogging since early 2012 but never paid so much attention on list building like I am doing now. Anyway I was just checking few articles (mainly how to guides) on list building. Landed on this page and now I know some of my mistakes that I have been making to create a list. Thanks for all the tips and they are really helpful for me. Glad you found Traffic Generation Café, Sudip – good luck with your list building endeavors! This is really relevant especially to a newbie blogger with just a few subscriber. Thank you for this article. You have disclosed all most all super Affiliates secrets in your article, I want to give my opinion on this. hope you correct me. Solo Ads: You need to research hard to find honest one, their are so many with fake PayPal’s and fake testimonials so be alert. Yes ezine solo ads works well, Buy A List: Very Danger I have lost a lot here People simply spam your emails with even opening them. Google Ads: Just do it Now, Password protect your posts: Not for Newbies.JV Giveaways works great, One can use warrior Forums to spread it. Leverage other blogs: The best Method, using Affiliates when You have crossed $100,000. already. So Over All whatever you describe here is true Marketing and Great for list building. opt-in form with a download works well Today. All good points, Rohit. Thanks for coming by. This post was created a year ago, but it’s still relevant. Love that. Totally Evergreen. Tiny note: Aweber, is now FREE for the first month. You might want to update that information in your post to attract more clicks for your aweber affiliate link. I love AWeber and am an affiliate as well. That’s something that NO ONE does, but it takes almost ZERO effort to ask people to forward a helpful email that links to a great video or blog post! Glad you see your blog is still running strong!!! Thanks for pointing it out, Jim; hard to keep track of all the changes! Will update the post accordingly. Thanks for coming by and have a great weekend. Glad I was able to help and that you made the change about the FREE first month! It don’t get no better than that and AWeber is my favorite Autoresponder! You showed me way how will i build my email list thanks .Your tips are what i’m going to follow for my next startegy. Pleasure, Ravinder – thanks for coming by. Another enlightened post by Ana. Thanks! I refer to you as the “queen of all things traffic” but this post was more about what to DO with the traffic. Question: If you were to write this post TODAY, what one thing do you thing you would add? Would it be a new technique, tool, or service? Or does it stand alone? Thanks for all you’re doing here. Actually, this is a very recent post that reflects all the things I am doing/using right now, Kurt. Thanks Ana. I just want to be up-to-date. Blatantly copying your ideas to use for my own list-building empire projects. I appreciate you being so helpful and personal here on your blog, even with the enormous amount of followers and subscribers you have to keep up with. You are very welcome, Kurt, and copy away! Wow Ana, really great post… but one thing really surprised me. I cannot believe you’ve never tried Google Adwords! That is a big, big surprise for me. I started with Adwords than move on to SEO. It’s a different strategy but I understand your reasons. Hey Ana, by the way I sent you message on Google plus because I couldn’t find another way to contact you. Give me a heads up, ok!  From the very beginning of Traffic Generation Café, I decided to focus on free traffic generation strategies, Felipe, simply because it’s what most of my readers wanted to know more about. I am a bit behind on my messages, but you can email me once you get the response to your comment in your inbox. Very true, Reeta; gaining new subscribers is not nearly as difficult as keeping them happy, opening, reading, and clicking. I’ve tried a few of the strategies you’ve listed and have been considering several of the others. Thanks for the insight! Thanks Anna! Lots of great information here. I love how everything really does come down to words and relationships. We can constantly ask ourselves if the activity we’re doing is helping us create more words or build better relationships. If not, we’re doing it wrong. I like #14 a lot – building partnerships and writing about each other. It’s sharing audiences and social proof all in one. Rock on! I’m very humbled by you featuring my comment, Ana. Thank you so much. The biggest thing I have to ask myself daily is if my activity is helping me produce more words or build relationships. If not, I have to find an activity that meets those requirements! I wish I would have learned this lesson about online marketing years ago. You are very welcome, Olga. I love your site because traffic = successful list building. Good stuff Ana, I love the post-specific call to action at the end. How did the webinar go? I’m working on a post on some specific conversion tips for bloggers. Do you want it? Let me know if you want to know more. It will have some original data from tests I’ve done along with some of the users of my upcoming content marketing analytics app. The webinar went great, Dan; I need to play with my forms to apply what I learned. For sure, send me an email about your post. You are in good company, Richard! The best way I’ve grown my list is through guest posting. I haven’t done much for the last 2 years though. Will have to dust off my quill and start writing and connecting again. Loved Kristi’s book, was devastated to lose it when my computer crashed last year. Have been meaning to buy another copy, thanks for the reminder. Guest posting can definitely do the trick and I am just as guilty about not doing more of it, Sarah. I think Kristi is working on the next edition of the book. Great Post, The best thing is you write your posts to the last detail possible. I ve been reading your posts past 2 hours now and I am here for the first time. read your great guide on “Mommy, Where Does My Traffic Come From?” thanks for sharing ton of value. Have subscribed and looking forward to more great content. You are very welcome, Sam; look forward to seeing you around. I wrote on ShoeMoney about “Cross Marketing Niches”. I think there is a huge opportunity in cross promotion because people have so many interests these days. The same person watching the cooking show also loves WWE and ice skating, you just never know. I’ve had the most success by just talking about what I really care about regardless of what niche it’s in. Excellent job by the way. Cross promotion might need a bit of homework to get right, but once you hit the sweet spot, the sky is the limit. This is a keeper list. I had been wondering what else to do and you have answered my prayers.